The Woof Wear Performance Riding Shirt are designed to accompany the Colour Fusion range of products for horse and rider. 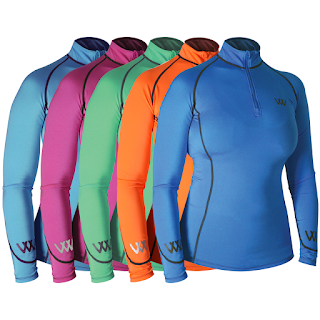 Woof Wear’s new lightweight and breathable riding shirts in a range of vibrant colours. Made from soft and supple iFlex fabric the Performance Riding Shirt is sure to keep you cool as the stress levels rise. Available in 8 sassy colours so you can look and feel cool.